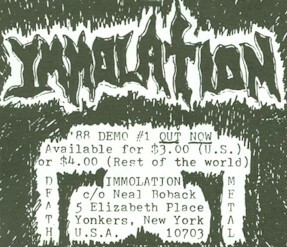 Anti-Christian Metal band IMMOLATION was created in Yonkers, New York during February 1988 by frontman Ross Dolan, drummer Neal Boback and two erstwhile RIGOR MORTIS members, guitarists Robert Vigna and Thomas Wilkinson. 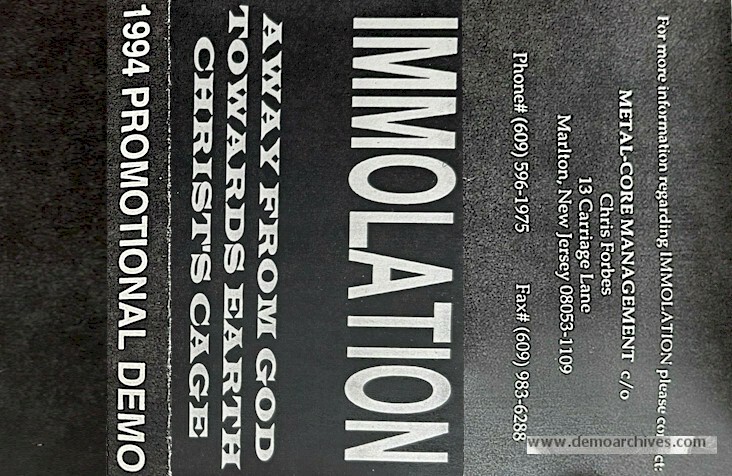 Two demos, in July 1988 and June 1989, ensued prior to the July 1991 'Dawn Of Possession' album and the recruitment of drummer Craig Smilowski. 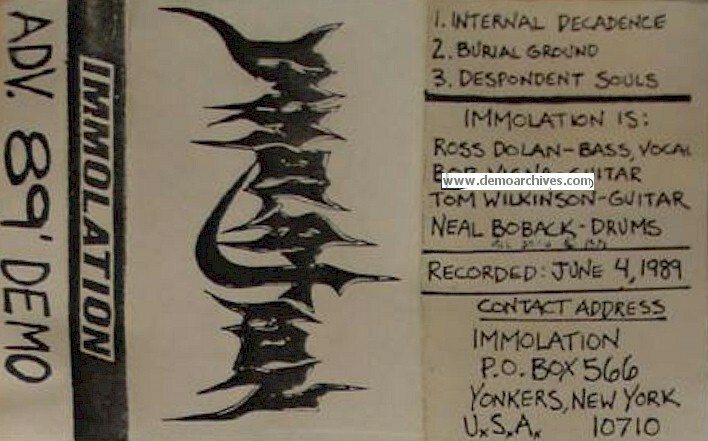 These tracks had been constructed under the guidance of Harris Johns at Musiclab Studios in Berlin for Roadrunner Records. 'Dawn Of Possession' quickly found appreciation on a crowded market due in main to its convoluted and writhing unorthodoxy, pinch harmonics, atonal riffing and abundance of minor keys forming up a disturbing avalanche of unpredictability. Pro printed covers. 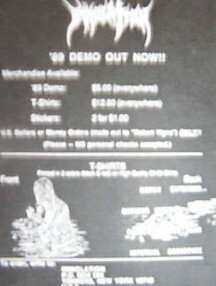 Tapes had printed stickers on the shell.